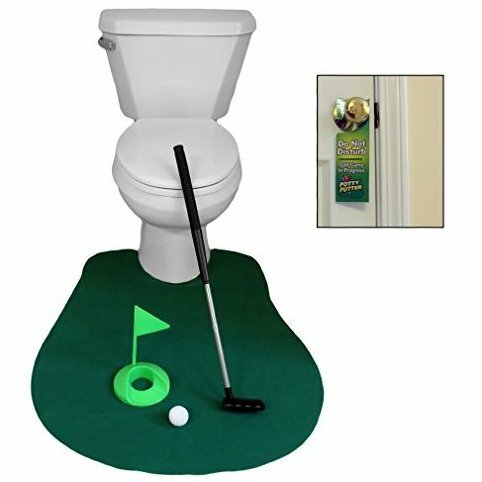 This tee time novelty golf potty putter golf game is the perfect game for the golf Lover. Why read the newspaper when you can play golf?. Perfect your technique on your down time. This novelty item would be a great gag gift. Comes with a small putter, green that wraps around your toilet, 2 balls and a whole with a flag.